We do not know what we ought to pray for, but the Spirit himself intercedes for us with groans that words cannot express. And he who searches our hearts knows the mind of the Spirit, because the Spirit intercedes for the saints in accordance with God's will. This year, in Mom's memory, I planted a Fanal Astilbe (sounds fancy, right?!) in a ceramic pot. It will have dark red flowers on green spiked foliage. I also bought a hanging basket of Olympia Red Begonias. Happy Mother's Day. 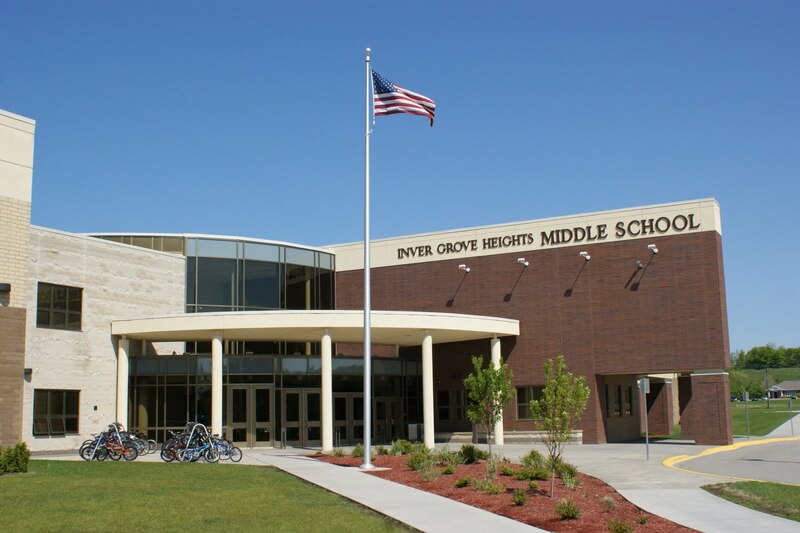 After many interviews last year and this year, I finally landed my dream job - the Guidance Counselor at Inver Grove Heights Middle School. I am so excited to begin my counseling career again. After having not worked in the field this past year, I am more than ready to dust off my counseling "chops," and dive right in. I am a little bit nervous, but I believe it's the good kind of nervous energy. I can't wait for school to begin! This year in Mom's memory, I planted her some geraniums, petunias, and eucalyptus. Happy Mother's Day. Most days I feel like a boxer, a few years beyond his prime, haven taken one too many punches to the head. My face is bloodied, battered, bruised, and broken. My eyes all but swollen shut, barely able to see my opponent. My ribs are cracked, and each breath is more difficult than the last one. My hands are a mangled mess, shattered knuckles, creaky joints, taped too tightly inside my boxing gloves. My legs are sore, my knees and feet ache, my body wobbles beneath its own weight. I'm not sure what keeps me standing, leaning on my opponent, holding onto the ropes. Help me Father, it's all I can muster just to stay upright. I don't want to throw in the towel yet. How do I explain my faith? Usually I point to my past, and then explain that God has taken someone like I was, and turned my life around. And He can do the same for others. But do I have the stomach to actually say that to someone who questions my faith? I trust I will, once He puts that person in front of me. I am in a point in my career, where I can only trust His will for me. I have been heading towards the destination that He put on my heart quite some time ago - to be a counselor. However, after many years of education, unpaid internships, a half-time position followed by a full-time six month gig, I find myself where I started - out of work and desperately needing full-time employment soon (within a month). The pool of money set aside to survive on has all but run dry. Do I trust He will provide? Most days, yes I do. Lately, I have really begun to question Him, and my hope has been shaken. If I put my hope in Him, He will give me all that I desire. A job counseling students, financial stability, and an eventual wife and children. When I put my hope in other people and things, I will fail. Help me Lord to not lose sight of my hope - You. Faith, trust, and hope. God, God, and more God! 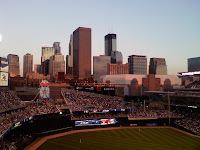 Target Field, warm June night, cold beer, hot dog, Twins win! I am who I am, and that's all I am!